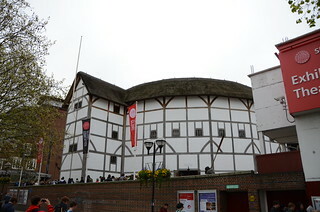 Amnesty International has recently criticised the Globe Theatre for including North Korea in its world tour of Hamlet. Students will remember Jan Kott‘s staging of Hamlet behind the Iron Curtain, so there has been a history of performing the play under oppressive political conditions. The parallel with North Korea is not exact though as there the audience will presumably be carefully vetted. Is there something rotten in taking Hamlet to North Korea? Anorexia, addiction, child-swapping — the Lake Poets would have alarmed social services » The Spectator. While the world watches the health of Nelson Mandela, one of the best-known African writers of English has died. Chinua Achebe’s novels are staples of university curricula and his critique of Conrad’s Heart of Darkness is studied in English Literary Texts in Context (first year). Novelist Chinua Achebe dies, aged 82 | Books | The Guardian.